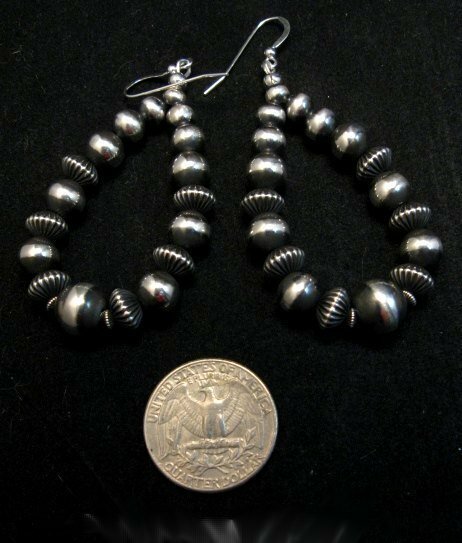 Up for your consideration are these fabulous Native American made sterling silver beaded earrings by Navajo silversmith, Marilyn Platero. 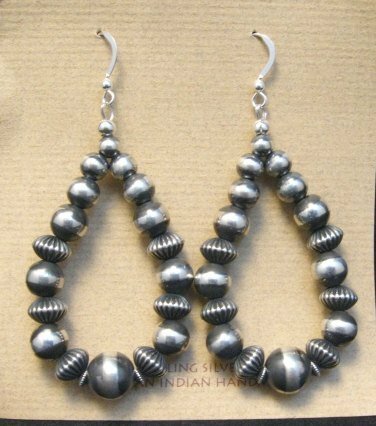 The earrings feature beautiful machine-made bench beads, that are hand soldered, strung and finished by Navajo silversmith Marilyn Platero. The earrings are finished with an oxidized or antiqued brushed satin finish. The beads alternate between smooth and fluted beads, as shown. The earrings measure 2-1/4" long and weigh 7.6 grams each. Certificate of Authenticity and gift box included.